An appeal is a request for a higher authority (an agency or court) to reverse or modify a decision by a lower authority. For example, you might appeal the decision of an immigration judge to the Board of Immigration Appeals (BIA). Usually, you would request an appeal if the lower authority made an error of law or fact or if something unfair occurred during the lower proceedings. An appeal of an unfavorable decision by an immigration officer is usually filed with the same U.S. Citizenship and Immigration Services (USCIS) office that made the decision, which then sends the entire case to the Administrative Appeals Office (AAO, formerly known as the AAU) or the BIA. If the AAO or BIA's decision is still unfavorable, then it sometimes may be challenged in the local federal district court. For orders of removal issued by an immigration judge, you may appeal to the BIA. If the BIA affirms the order of removal, then you often may obtain review of that decision by filing a petition for review with the U.S. Court of Appeals for the region where your removal proceedings were held. For example, the U.S. Court of Appeals for the Third Circuit reviews removal cases arising in Delaware, New Jersey, Eastern, Middle and Western District of Pennsylvania. Attorney Elaine Cheung, Esq. 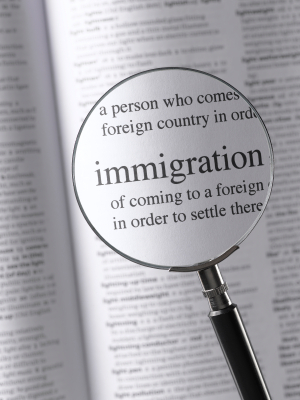 is experienced in dealing with the many levels involved handling immigration and deportation issues. We fight hard to protect your rights and advocate aggressively on your behalf. To schedule a low cost consultation, please call 215-271-2288.